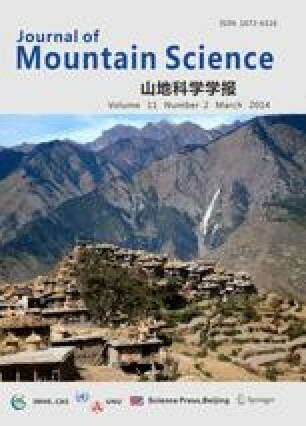 The developmental activities, particularly the construction of hydroelectric projects are causing a great loss of biodiversity in the Indian Himalayan Region. The Himachal Pradesh, a part of IHR is well known for the development of hydroelectric projects. The Parbati H.E. Project is amongst the major projects of the State. The different stages of the project are all causing loss of biodiversity of the area. Stage III of the Parbati H.E. Project is a run of the river scheme on the Sainj River downstream of Power House of Parbati H.E. Project Stage II. The project shall utilize regulated discharge of Parbati H.E. Project Stage II and inflow of River Sainj for power generation, and has been contemplated as a peaking station operating in tandem with Stage II. The present study has been undertaken to see the impact of hydroelectric project on the biodiversity, particularly on medicinal plants. A total of 104 species of medicinal plants, belonging to different life forms, i.e., trees (23 spp. ), shrubs (22 spp. ), herbs (57 spp.) and ferns (2 spp.) were recorded. The species have been analyzed and studied for their distribution, classification, altitudinal zones, part (s) used, indigenous uses, nativity, endemism and rarity. DDifferent parts of these species, such as whole plants, roots (including rhizomes and tubers), leaves, flowers, fruits, seeds, stems, barks, spikes, nuts and insect galls are used by the inhabitants for curing various diseases and ailments. 30 species are native to the Himalayan region, 9 species native to the Himalayan region and adjacent countries also and 65 species are non-natives. 9 species are near endemics. Considering the whole Himalaya as a biogeographic unit (sensu lato), the near endemics are endemic to the Himalaya. Among these species, Zanthoxylum armatum is categorized as Endangered and Valeriana wallichii as Vulnerable. Hedychium spicatum, Rhus javanica, Berberis lycium, Thalictrum foliolossum, Salvia lanata, Rubia cordifolia and Bergenia ligulata may be considered as threatened species due to their over exploitation for trade. 90 species are propagated by seeds, 8 species by seeds and rhizomes/roots/tubers, 4 species by seeds and cuttings, and 2 species by sori. A management plan for the cultivation and conservation of the medicinal plants in the dam submergence area, and the commercially viable medicinal plants with high value in the catchment area is suggested.